For the second year in a row, GMC has been named the Most Satisfying Popular Brand in the AutoPacific Vehicle Satisfaction Awards. The award-winners are determined based on AutoPacific’s Vehicle Satisfaction Survey, which this year asked more than 66,000 new vehicle owners to rank their satisfaction. 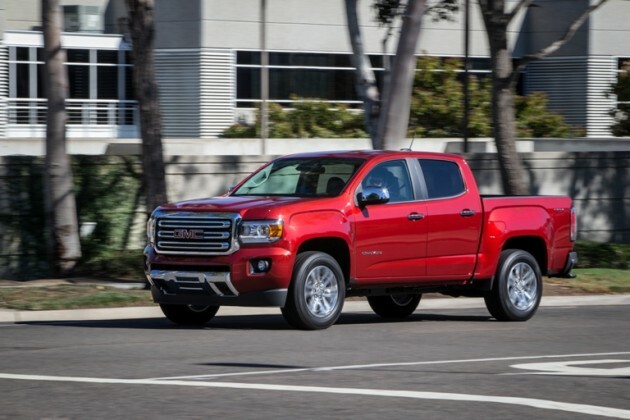 The brand-new 2015 GMC Canyon was named Best in Class Compact Pickup, and the GMC Acadia was named Best in Class Large Crossover SUV for the second straight year. Tesla was named the Most Satisfying Premium Brand. Despite the aforementioned fierceness of competition, General Motors was the most represented automaker in the 2015 awards. GM was also represented by the 2015 Chevrolet Corvette, which was named the Best in Class Sports Car for the fourth consecutive year; the 2015 Chevrolet Tahoe, named the Best in Class Large SUV; and the 2015 Buick Enclave was named the Best in Class Luxury Crossover SUV.